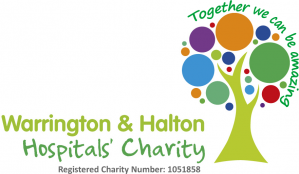 Warrington and Halton Hospitals NHS Foundation Trust works to ensure we provide equality of access to all of our patients and members of the public. We are committed to furthering equality, diversity and human rights and reducing inequalities in health. In this section you can read more about how we do this and the documents and reports that are available to you that we use to monitor our work in this area. The Human Rights Act 1998 provides service users with a vehicle through which they can ensure that their human rights are fully taken into account when decisions regarding access to treatment and services are taken. The Act also covers the right to life or quality of life by providing a mechanism for demanding life saving treatment and for non-life saving treatment where denial would have a severe impact upon the quality of that individuals life. A good way to understand human rights is to see them as a vehicle for making principles such as dignity, equality, respect, fairness and autonomy central to our lived experience as human beings. These core principles are brought to life by a range of different human rights that make them real. The trust and other public bodies are obliged to respect human rights and in the service which we provide to you, can give these principles real meaning. Autonomy - Right to respect for private life. As an employer the trust is committed to a vision of respect for the individual.We strive to promote diversity and equality of opportunity in employment, welcoming applications from all sectors of the community. We also hold the Positive about Disabilities Two Tick Employer Award which ensures that disabled people are not disadvantaged in the workplace. To apply for a role at Warrington and Halton Hospitals, please register at NHS Jobs by following the link to our current vacancies pages. You can find the policies, tools and action plans we publish around this area of work below. The trust sets out how it endeavours to meet the public sector equality duty via its Equality Duty Assurance Report. You can access this report below. In order to meet the duty to publish Equality data under the Equality Act 2010, the trust reports quarterly on workforce and patient data, these reports are reviewed by the Equality and Diversity Sub-Committee. You can view 2017's report here. You can view 2016's here. You can view 2015's report here. You can also view our Equality and Diversity Annual Update Report 2017 - The equality report consists of an annual progress report on the objectives of the Equality Strategy for 2013-2017. The NHS Equality and Diversity Council announced on July 31st 2014 that it had agreed action to ensure employees from black and ethnic minority (BME) backgrounds have equal access to career opportunities and receive fair treatment in the workplace. This document aims to provide an Equality Analysis of the Workforce Race Equality Standard (WRES). Included in this analysis is an action plan that highlights next steps, further work, and the mitigation of any potential negative impacts identified.